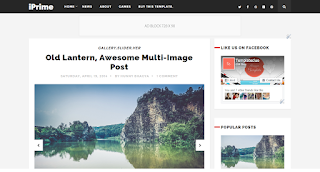 iPrime is a Blogging Template in clean and bold design. It's perfect for any personal blog. It follows the trendy design with a Combination of pure elegance.